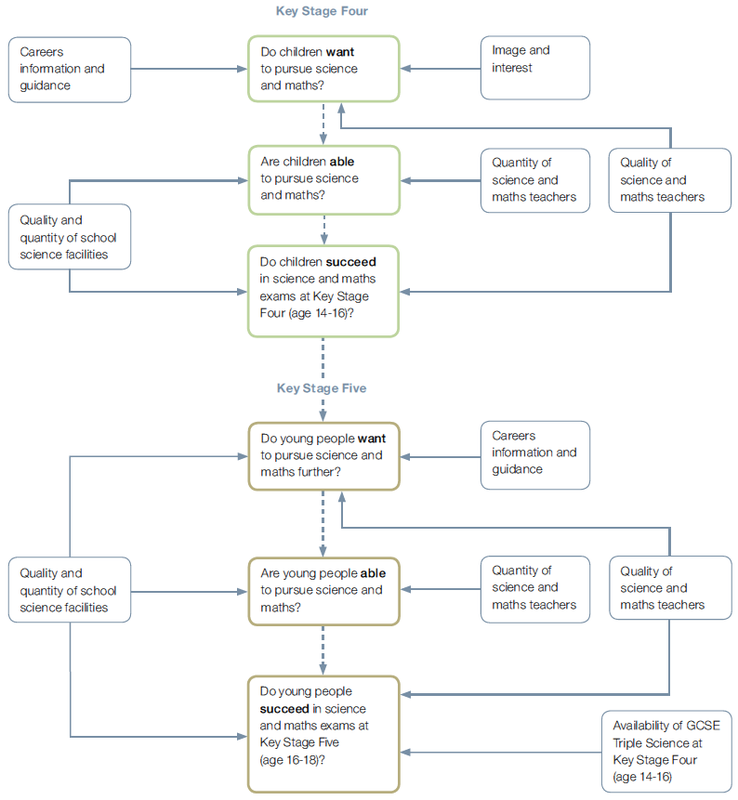 The Rationale - why do we need to improve awareness of STEM courses and careers? It is widely agreed across our government, industry and education sectors that the future prosperity of the UK is, to a large extent, dependent on learners choosing STEM (science, technology, engineering, maths) subjects and careers. For learners themselves, taking STEM subjects and developing STEM skills opens doors to a rich diversity of opportunities. It is important, therefore, that in STEM Getting started we establish the reasons why it is so vitally important that learners have a clear picture of the career implications of choosing STEM. Activity: Work through these three activities to aid your understanding. 1. Watch: Kate Bellingham, the National Stem Careers Co-ordinator, 2009 - 2011, describing why studying STEM is a "win, win, win" in this short video . 2. To better understand why the STEM message is so important, watch this slidecast which explains the factors that answer the question, why promote STEM careers? Move cursor over presentation to show start, pause, forward and reverse buttons. You can download to use the embedded hyperlinks and re-use the powerpoint presentation here . If you are having difficultly accessing this presentation, please click here for a text based version. 3. One important factor in the rationale behind the National STEM campaign is the reluctance of learners in the UK to continue studying STEM beyond GCSE level. Read STEM LMI: Key Data and Trends, provided by The Institute of Employment Research at the University of Warwick, which summarises research about STEM study patterns at GCSE, in Apprenticeships, Further Education, at A level and in Higher Education. Studies have shown that an important factor in improving take up of STEM subjects is the provision of good quality careers information, advice and guidance. Read more about this and the other factors here . Note in your STEM Careers Personal Action Plan, which can be downloaded here , any relevant points or actions from this section for future reference. The size of the ‘pool’ is critical to the success of any policies to produce more UK science and technology undergraduates. The cycle of too few learners feeding through to become specialist teachers in schools and colleges needs to be broken. The quality of this ‘pool’ needs to be further improved by ensuring specialist teachers are provided with continuing professional development, that the curriculum they teach is rigorous, engaging and inspiring, and that the schooling structure is conducive to the needs of science and mathematics as subjects. The potential progression routes for learners into HE must remain as open and transparent as possible aided by relevant and accessible careers information, advice and guidance. The other three Royal Society reports can be found using this link . 2. The National Audit Office published a report in November 2010, Educating the Next Generation of Scientists which summarises DfE progress on STEM development 'The Department for Education has made good progress in improving take-up and achievement in areas such as A-Level maths and GCSE Triple Science. However, there has been less success in increasing the number of science teachers, improving take-up of A-Level physics and raising the standards of school science facilities'. The summary can be accessed here, whilst some main points are summarised here . Add any comments you'd like to make below or on the STEM Careers Helping Students Get The Message online community group on the National STEM Centre website.